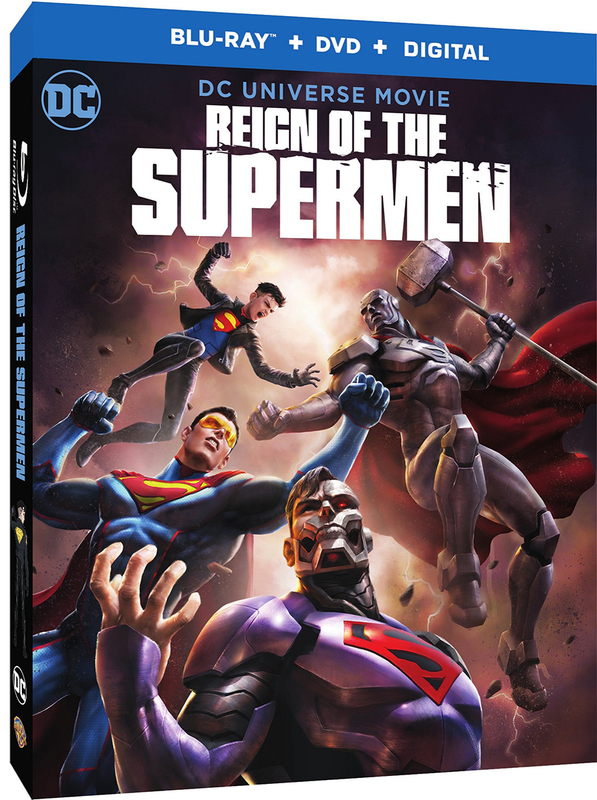 The Reign of the Supermen all-star cast is led by Jerry O’Connell, Rebecca Romijn, and Rainn Wilson as the voices of Superman, Lois Lane, and Lex Luthor, respectively. The potent trio is joined by the DC Universe Movies’ returning voices of the Justice League: Jason O’Mara as Batman, Rosario Dawson as Wonder Woman, Shemar Moore as Cyborg, Nathan Fillion as Green Lantern/Hal Jordan, Christopher Gorham as The Flash, and Nyambi Nyambi as Martian Manhunter. Newly featured cast members include Cress Williams as Steel, Cameron Monaghan as Superboy, Patrick Fabian as Hank Henshaw, and Tony Todd as Darkseid. In addition, the cast includes Charles Halford as Bibbo Bibbowski and The Eradicator, Rocky Carroll as Perry White, Toks Olagundoye as Cat Grant, Max Mittleman as Jimmy Olsen, Paul Eiding as Jonathan Kent, Jennifer Hale as Martha Kent, Trevor Devall as Dabney Donovan, and Erica Luttrell as Mercy. 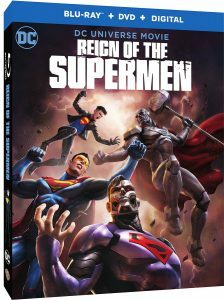 Producer Sam Liu also directs Reign of the Supermen from a script by Jim Krieg and Tim Sheridan. Amy McKenna is producer, and Alan Burnett is co-producer. Executive Producers are Sam Register and James Tucker.